Published: May 22, 2014 at 02:09 p.m. 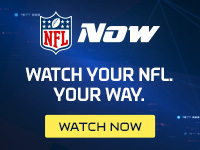 Updated: May 23, 2014 at 11:21 a.m.
James Harrison acknowledged on "NFL Total Access" two months ago that he wants to rejoin the Pittsburgh Steelers for the 2014 season. He's not the only one hoping for a return to the Steel City. Cornerback Ike Taylor said Tuesday on his weekly TribLive Radio show that Santonio Holmes and Harrison have expressed a desire to come back to the Steelers. "It's for sure the both of them want to come back. I've talked to both of them," Taylor said, adding that he's worked out with the two free agents in Orlando this offseason. It's been six years since Harrison and Holmes made the two biggest plays in Super Bowl XLIII. Holmes was promptly shipped to the Jets for a paltry fifth-round draft pick due to a litany of off-the-field issues. His reputation took an even bigger blow during a disappointing, injury-plagued stint in New York. For those reasons, it's hard to imagine the Steelers being amenable to a reunion. Harrison is in the proverbial best shape of his life and "looks like the Hulk," per Taylor. The roadblock to his return is a youth movement in which 2013 first-round pick Jarvis Jones is fully expected to join the starting lineup, bookending Jason Worilds. As much as Holmes and Harrison want to return, the Steelers have moved on. It might take a training-camp injury for their phones to start ringing.